Welcome to the Keystone Floor Products Showroom. We have everything you need to make the best possible flooring selections for residential and commercial jobs, all under one roof. In fact, we actually have three showrooms in one for your browsing pleasure. Enter our building and you will be greeted by our professional sales staff. Our wholesale and residential sales departments are both located at the very front of our building. This is where you will find the products we stock on-site. The selections include carpet, sheet vinyl, laminate, luxury vinyl plank, enhanced vinyl plank and hardwood. Both entry level products and many upgraded options await you in our in-stock area of the showroom. Larger format samples and our exclusive line of Parade Carpet sample boards simplify your selection experience. There’s something for everyone at every price point in our In-Stock Section of the showroom. Need even more selection? 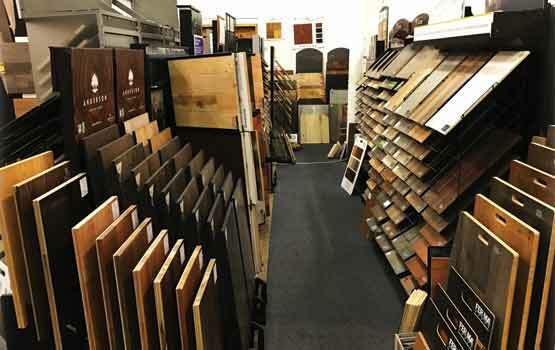 That’s not a problem – the second section of our showroom brings you to our special order and mill direct options, including a very extensive selection of hardwood flooring featuring products from Mirage, Wickham, Shaw, Mannington and many others. Then, please visit our newly-designed tile area, featuring Dal TIle, American Olean, Glazzio Glass, MSI Stone, Happy Floors and much more. You’ll find beautiful glass tile, mosaics, backsplash options – so much to select from; just let your creativity take over! Here, you’ll discover designer carpets from Kane, Stanton, Royal Dutch, Phenix, Dream Weaver, Shaw, Mohawk, Masland, Dixie, Tuftex and many more. If carpet tile is your choice, we have an endless amount of styles at all price points. We even stock six products for your convenience. 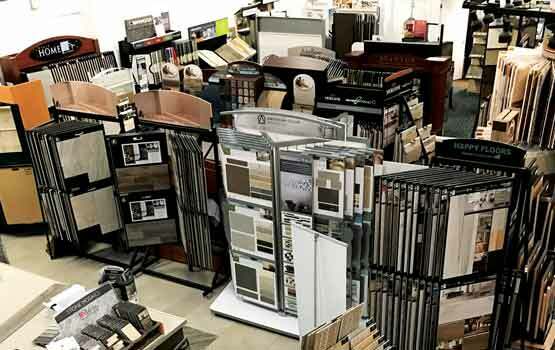 From luxury vinyl tile to enhanced vinyl tile to laminate flooring, from the top manufacturers in the business – you’ll find them all under one roof. 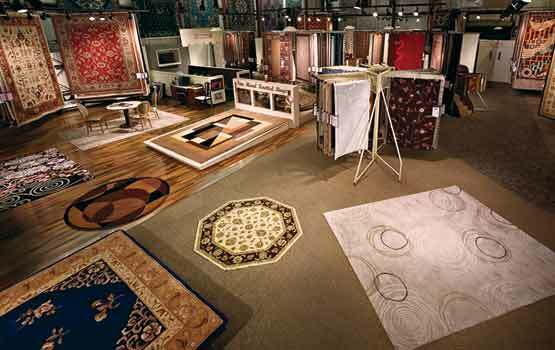 Last but not least is the final section of our showroom, which brings you to our area rugs and runners room. This is one of the nicest galleries in the Tri-State area, featuring area rugs and runners of all sizes and qualities including nylons, Axminster woven, acrylic, flat weave, friezy, and handwoven; just to name a few. You can also browse our inventory online at www.arearugsltd.com. Choose from Nourison, Sphynx, Karastan, Couristan, 828, Central Oriental, Colonial Mills, Concord, Dalyn, Dynamic Rugs, Feizy, Home Dynamix, Joy Carpets, Kaleen, Kas Oriental, Milliken, Momeni, Radici, Safavieh, United Weavers and many more. There’s something for everyone – you just have to come see for yourself!